April and Ziggy built this gorgeous, yet simple straw bale house in Berea, KY for a friend of theirs. It features many different natural building materials, most of which were found locally. Conventional house construction these days has a huge impact on the planet. Mostly the materials aren’t sustainably sourced, the houses are cookie cutter, and although they may be more efficient in some ways than their predecessors, they cancel out all benefit by taking up an enormous square footage. The house you build largely determines the footprint your lifestyle will have, and this kind of naturally built small house can go a long way toward reducing impact, not only in the materials it consumes in being built, but in impact of the people living in it. 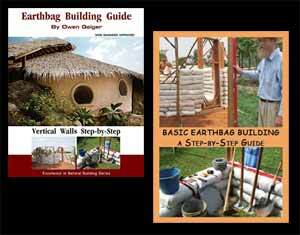 Check out April and Ziggy’s natural building workshops and sign up way ahead of time because the spots go fast. If you’re not too far from them, they may be able to build a house for you too. See Ziggy’s and April’s previous mega popular home.